A new by-law published by the City of Cape Town (section 14 of 2010) now requires the Seller in a property sale transaction to submit a water certificate to the City before transfer of a property in order to obtain rates clearance. The date of implementation is still uncertain. This however does not mean that the Seller is obliged to carry the costs of having such certificate issued and is a matter that can be negotiated between the Seller and the Purchaser. It remains to be seen what impact this new requirement will have on the transfer process, but the general feeling in the conveyancing world is that it will not be a positive one. 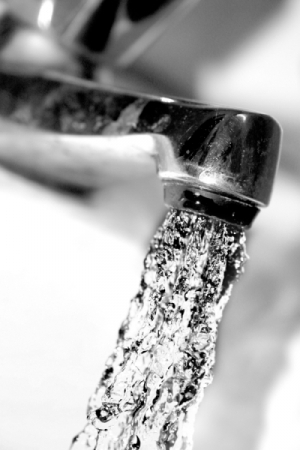 The definition of the term “water installation” and its required conformity to the National Building Regulations will no doubt create countless problems for Sellers trying to sell their property, this biggest being a financial burden when it comes to costs. It is therefore strongly advise that any potential Seller takes this new requirement very seriously and consult with their attorney before entering into any potential sale agreements. You are no doubt aware that the Machinery and Occupational Safety Act of 1983 requires owners of buildings to hold a certificate of compliance in respect of the electrical installation. This has now been extended by recent amendments to the regulation. Peter Bowes advises that New Pressure Equipment Regulations have been promulgated under the Occupation Health and Safety Act, which bring gas appliances installed in property more or less in line with electrical installations. In short, any person installing a liquid gas appliance onto a property, from 1st October 2009, must have a Certificate of Conformity issued in respect thereof. The certificate is issued by an authorised person registered as such with the LIQUIFIED PETROLEUM GAS SAFETY ASSOCIATION of SOUTHERN AFRICA (LPGAS), after he has inspected the installation, and is satisfied that it is safe, and leak free. Gas installations for which certificates of conformity are required would include built in gas fires or braai's, gas stoves and hot water systems and the like. Furthermore, in terms of Regulation 17(3) of the Pressure Equipment Regulations, any person disposing of a property on which such gas appliance is installed, must obtain a Certificate of Conformity in respect thereof, and must deliver a copy thereof to the Purchaser (rather like an electrical compliance certificate). The installation of gas appliances into homes is becoming even more popular, in reaction to the high and increasing cost of electricity. Most SOUTH AFRICANS are unaware of the need to obtain a Certificate of Conformity in respect of any gas appliance installed in their property, should they sell same. Note further, that it matters not that the installation of the gas appliance predated October 2009; if an appliance is present, so is the need for a Certificate of Conformity on the sale of the property. d) Make provision for the Seller to obtain the Certificate of Conformity in the eventual Sale document, should a gas appliance have been installed in the property sold. The cost of obtaining the Certificate (and the cost of any work required to render the installation safe and leak free) will be for the Seller's account. 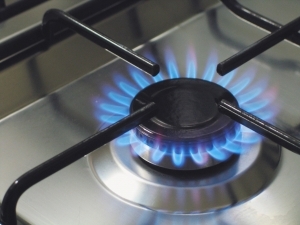 Indications are that insurance companies may seek to avoid liability for damage caused to a property by a defective gas appliance, should there be no valid Certificate of Conformity therefore. This being the case, it won't be long before banks granting the Purchaser the mortgage finance to purchase property will require a copy of the Certificate of Conformity, should a gas appliance have been installed thereon. Estate Agents should, therefore, ensure that a certified copy of any Certificate of Conformity is supplied to the transfer Conveyancer. In simple terms, from now on deal with gas appliances in properties you sell, as you deal with electrical installations. There is also the possibility of Plumbing Certificates being required in the Western Cape before a property can be transferred. Hopefully this requirement will not be implemented. 1.1 In the event of there being a gas installation in the Property the Seller shall at his cost be obliged to obtain a Certificate of Conformity in respect of such an installation as is required by Section 17(3) of Government Notice R734 of 15 July 2009, Government Gazette 32395. The Seller and its Agents shall have reasonable access to the Property prior to the Transfer Date for the purposes of obtaining such Certificate and for carrying out such repairs as may be necessary. Should any repairs be necessary they will be for the cost of the Seller.